Now Harmoni gets her own post. She's one of my all-time favorite Creedy girls--she's just so sad! You just want to give her a hug. With her dark wig and brown eyes, redressed in a Creedy Dressed Up Alice outfit. 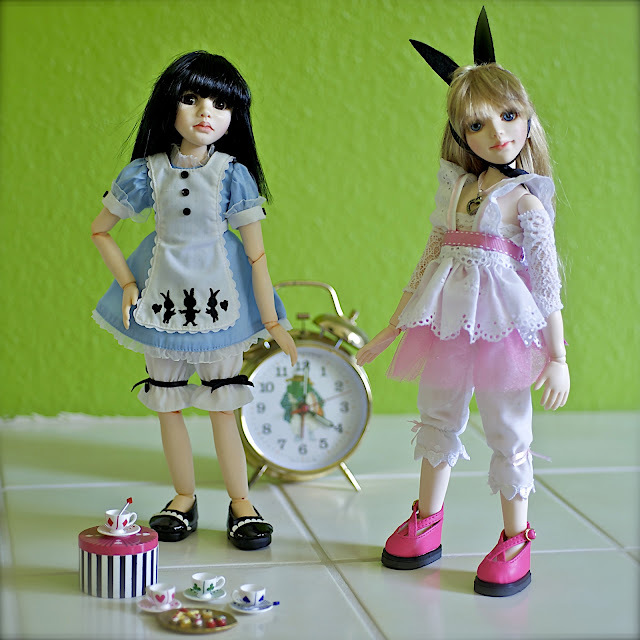 The other girl is a Uniti sculpt (I think), my Mod Alice. 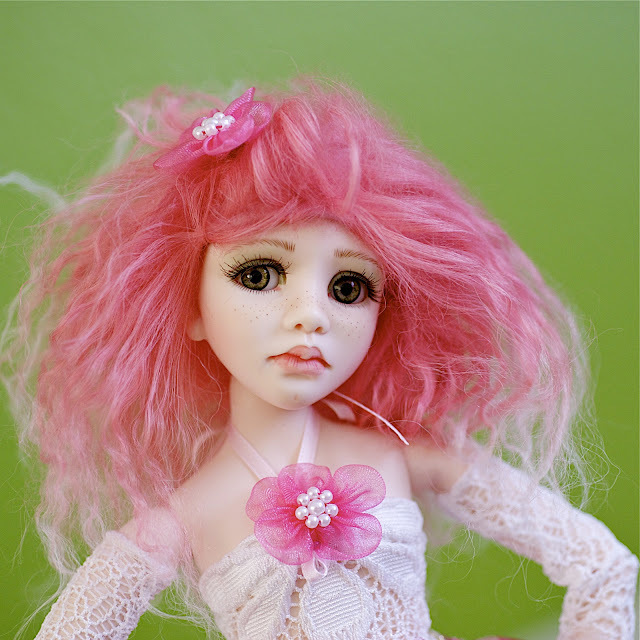 I've added blushing to Harmoni, which you can barely see on her joints.